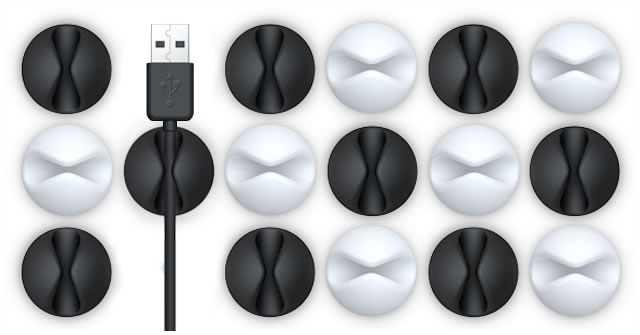 It's about time BlueLounge released a black and white color options of their popular CableDrop. Until now CableDrop were only available in bright colors which didn't really blend in. The CableDrop are little rubber cable stoppers that you stick to your desk or wall to prevent charging and other various cables you use from dropping behind your desk. Convenient right? Using CableDrop is a neat way to organize your cable clutter. The CableDrop is available in a pack of six for $9.95.